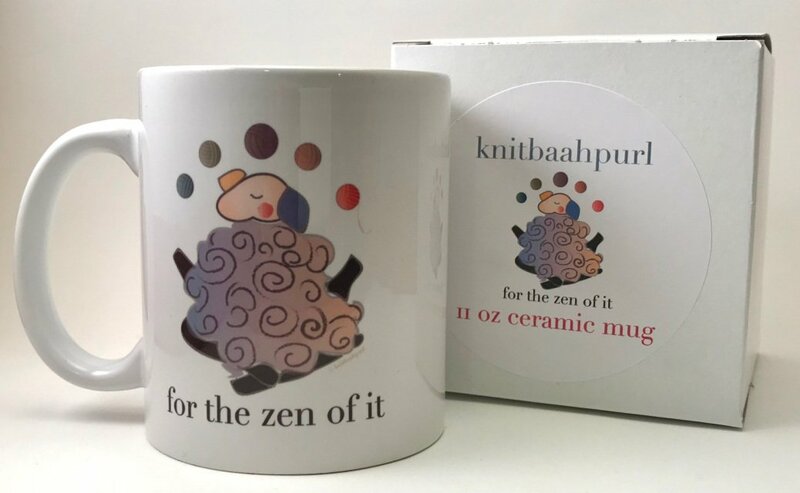 Whether you relax with fiber or with yoga (our both), this mug, For the Zen of It, announces the benefits of both as you sip in style. These mugs are dishwasher safe (though if you want them to last for years to come it is recommended that you hand wash them). These mugs come boxed and ready to send or to offer to that special fiber friend.